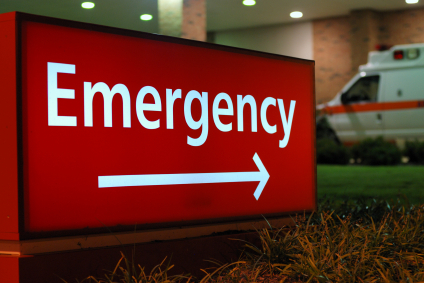 Car accidents can cause minor to severe injuries. Many injuries can be treated using methods like medications, stitches, and physical therapy. However, if an individual sustains severe injuries in a car accident, they may need surgery. Here are some common injuries which usually require surgery. In many cases, the damage to the brain is severe and may need surgery. For instance, the brain might swell or fluid will build up in the skull. If the intracranial pressure in the brain rises, the patient will be in danger. Surgery can relieve the pressure and allow for less damage to the brain. 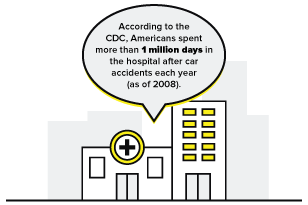 The impact caused to the body by car accidents can result in back and spinal cord injuries. This can cause the spine to be knocked out of place or the spinal discs to be dislocated. For instance, car accident victims might experience spinal compression, herniated discs, or whiplash. Serious injuries of this kind usually mean extensive surgical treatment to prevent paralysis and restore mobility. Without immediate surgery, it is possible for permanent damage to happen. There are different types of surgery that might be performed after a back, neck, or spinal injury. Spinal fusion is a common procedure which is used to deal with vertebrae fractures or dislocated discs. This is done by fusing the damaged vertebrae together. In some cases, bone cement mixture is used to repair cracks in a procedure called vertebroplasty. Other surgeries done after a car accident include discectomy, kyphoplasty, and laminectomy. Internal injuries are common after car accidents. Bleeding is not always felt after the accident and unlike external injuries, internal organs cannot be treated with simple bandages. A medical doctor will need to open up the injured person to look at the organs. Without surgery, internal injuries can get worse over time and even result in death. Simple bone fractures can be repaired by setting the damaged section and applying a cast. But, if a car accident causes a more complex bone break, surgery may be needed. In simple terms, the doctor will need to use pins, screws, and rods to reset and repair the damaged bone and ensure that it heals correctly. A patient with a compound fracture might need several surgeries. Surgeries after car accidents are expensive. These procedures require specialized equipment and experienced physicians. The medical bills for the surgery and after-care can be devastating. You may lose wages due to lost time at work as well. It is important for you to seek compensation by filing a personal injury claim if you have been injured in a car wreck. Financial compensation will be needed to help you cover medical bills for testing, diagnostics, surgery, and follow-up care. You can also recover damages for lost wages, physical pain, emotional suffering, and property damage. Personal injury claims can be complicated, especially if you are healing from a major injury. A personal injury attorney experienced in dealing with car accidents can help make this easier. Do you need a personal injury attorney in Amarillo and Lubbock, Texas? Dealing with medical bills, pain, and property damage after a Car Accident can be overwhelming. If you have been hurt by someone else’s negligence, you can seek compensation for your pain and suffering. Attorney Dean Boyd can help you navigate your personal injury claim or lawsuit and will work hard to get you what you deserve. Call us 24/7 at (806) 242-3333 or Contact Us by email to learn more about Our Services. You can also visit us at 4423 SW 45th Ave in Amarillo, Texas or 5012 50th St #103 in Lubbock, Texas.